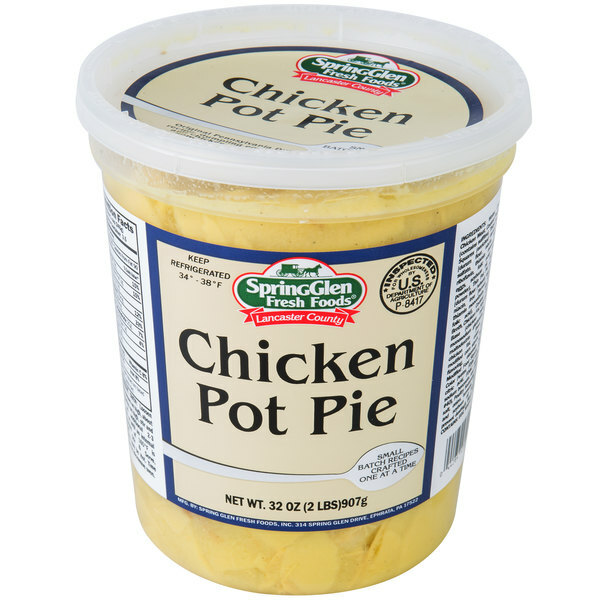 Classic savory broth, tender chicken, and pot pie noodles combine to make this Spring Glen Fresh Foods chicken pot pie soup irresistible! This chicken pot pie soup offers a tasty and familiar flavor that's a worthy addition to the menu of your school, health care facility, restaurant, hotel, or diner. Featuring the hearty taste of cooked chicken with pot pie noodles, this soup will leave your guests full and satisfied, either served alone or paired with your favorite sandwiches or salads. 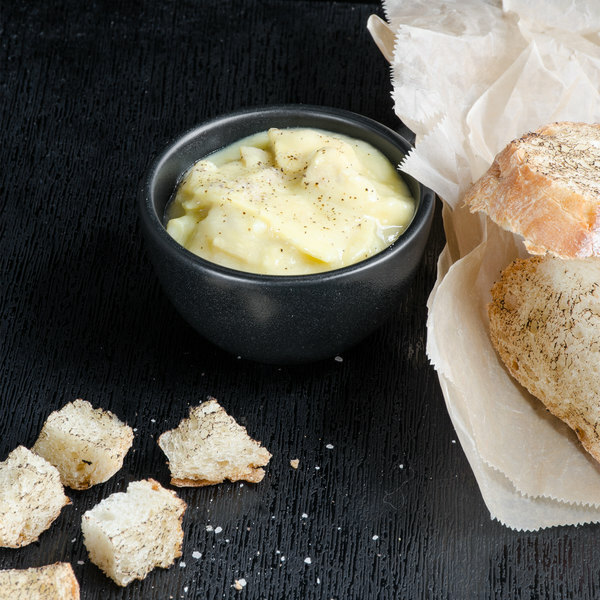 With its homemade taste, this soup is a great way to quickly and efficiently provide great service to your customers while saving on kitchen prep time. This soup is ready to use right out of the 2 lb. container; simply heat up and serve! This chicken pot pie soup is perfect as a meal or appetizer! Love the great taste and fresh ingredient taste of the chicken pot pie soup. A delicious blend and helps keep you warm on cold days.